Bwin, or Betandwin as many old players know it, was founded in early 1997. In the beginning, the company was run by only 12 employees. In 1998, the young organisation managed to launch its first online betting website and followed a growing trend in the sports gambling industry. The rapid development of this company allowed it to enter the financial markets with its first initial public offering in 2000. After steady growth and many successful transformations, Bwin decided to merge with Party Gaming plc and nowadays the corporation is known as Bwin.Party Digital Entertainment. However, the sports betting division of the company is still known as Bwin, and the online poker platform is handled by PartyPoker. The headquarters of this online bookmaker are based in Gibraltar. According to the statistics, Bwin has more than 1 million active users from many European countries. It’s quite popular among players from Germany, Switzerland, Portugal, Russia and Austria. Unfortunately for US gamblers, the online bookie doesn’t accept citizens from the United States. Still, the site ranks amongst some of the best bookies in the world. With very competitive odds and tons of great markets, Bwin is a must try for the online gambler. As one of the largest sports betting providers around Europe, Bwin offers an excellent set of markets and various sports events to wager. They are known as one of the widest market offerings on the Internet. There are a total of 45 sports including Alpine skiing, American football, ice hockey, athletics, Aussie rules, bandy, baseball, rugby, basketball, bowls, squash, boxing, chess, snooker, cricket, cycling, greyhound racing, darts, field hockey, tennis, floorball, futsal, martial arts, Gaelic sports, golf, handball, water polo, horse racing, lacrosse, motor racing, poker, pool, rink hockey, rowing, sailing, soccer, softball, badminton, swimming, table tennis, trotting, volleyball, winter sports, yachting and beach volleyball. On top of the sports markets, there are additional ones for politics and entertainment. The fans of other gambling games are not forgotten as well. Bwin provides excellent online casino and poker rooms plus some other interesting games to entertain the players. 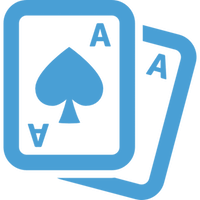 The poker platform is provided by PartyPoker, which is known to be the third largest in the world. Only a few steps behind PokerStars. Other games you have are the Roulette, Black Jack, Baccarat and many small games. There are separate desktop and mobile versions for every kind of taste. 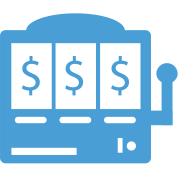 The reputable online bookmaker also allows his clients to bet in real time (live betting), but only on greyhound racing, futsal, football, ice hockey, tennis and handball. Another great option is the live streaming, which applies to those with money on their Bwin accounts. Bwin’s odds are great compared to many other online betting services in the branch. For example, in American sports the odds in an even match are 1.91 – 1.91. There are three formats available – EU, UK, and US. For football betting, gamblers can enjoy 1X2, correct scores, double chance, cards, penalty, odd/even, handicap, half time, half/full time, under/over and even time of the first goal. Of course, there are various bet types as well. Customers are free to combine their bets in the following schemes: Double, Treble, Trixie, as well as Patent, Yankee, Lucky15, Heinz and Goliath. Bwin’s live betting platform applies a minimum bet of €0.5 and as many other bookmakers, the maximum can vary. The limits are not that high, and every single player can win no more than €10 000 per bet and €100 000 a week. When it comes to security, Bwin is using one of the most common certificates for SSL-encrypted connections. They adopt VeriSign for their website and online gambling platform. As attractive as it is, their website is using heavily Flash which is known the have many vulnerabilities, especially in the recent years. Apart of this, Bwin is a trustworthy online betting company, which is a member of various fair gaming organisations, such as EGBA, ESSA and eCOGRA. We have to mention the customer support service as well. There is a phone line and email address open for customers in the following time frame – Monday to Sunday from 10 AM to 10 PM CET. A live chat is missing on their platform, and the email responses are automated most of the time. However, the mailing system supports numerous European languages, such as English, Slovak, German, Danish, Italian, Spanish, Romanian, Norwegian, Swedish, French, Turkish, Greek, Polish, Czech, Hungarian, Turkish, Dutch, Portuguese, Slovak, Croatian, Romanian, Bulgarian and Russian. 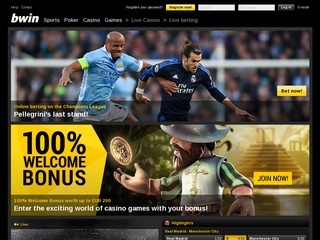 As an experienced online bookmaker, Bwin has an extended support of currencies and payment methods. 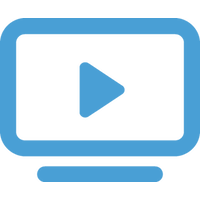 The in-game wallet allows deposits with many currencies. Clients can feed their accounts via credit cards, but they are charged in the process. To compensate for it, Bwin supports many online e-wallets. These online payment services also apply for withdrawals. Take note that Skrill withdrawals may take a while. Luckily, all the withdrawal methods are completely free. Unfortunately, when we talk about bonuses and freebies, well, Bwin is one of the poorest online bookies. There is no welcoming bonus of any kind. The company also lack to provide any reloading promotions or referral bonuses. There is an ongoing bonus program called Money Back, and it offers gamblers the opportunity to win up to €50 Free Bet if they got unlucky. The offer applies to a limited number of sports. Attractive Bonus Builder promotion – earn up to $500 on a weekly basis, collecting poker points you earn free playing any Cash games, tournaments or promotions! For the loyal customers, there is a special VIP points system called B’inside. 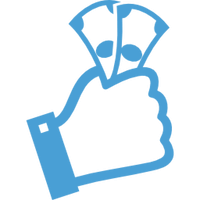 It offers points accumulation rewarded on activity and betting. The points are then exchanged in an online market platform provided by Bwin. Players can buy various stuff, such as tickets to sports events, balls, glasses and other items.